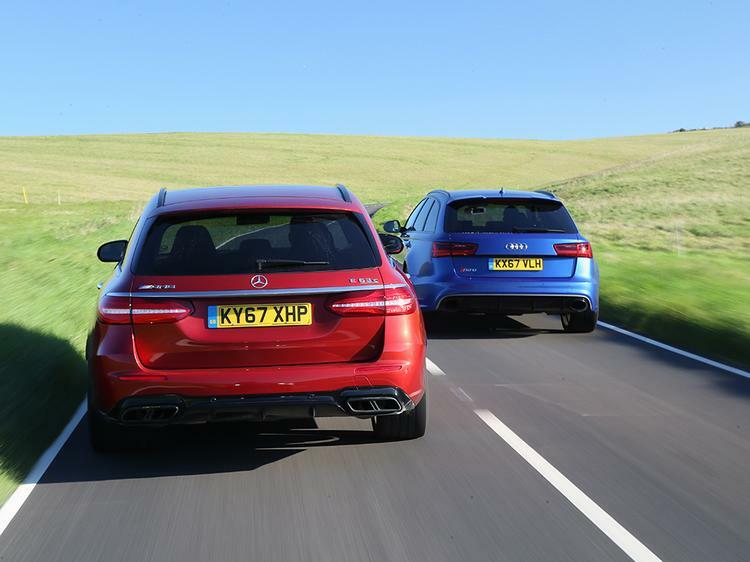 Four tonnes, 1,200hp and more than £200,000 - super estates get really silly, but which is best? 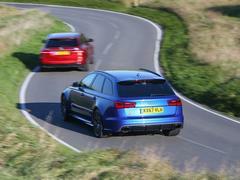 For the past four years, those after the most super of the super estates will have chosen an Audi RS6. They would have probably done that before 2013 too, but at least now the car is decent. 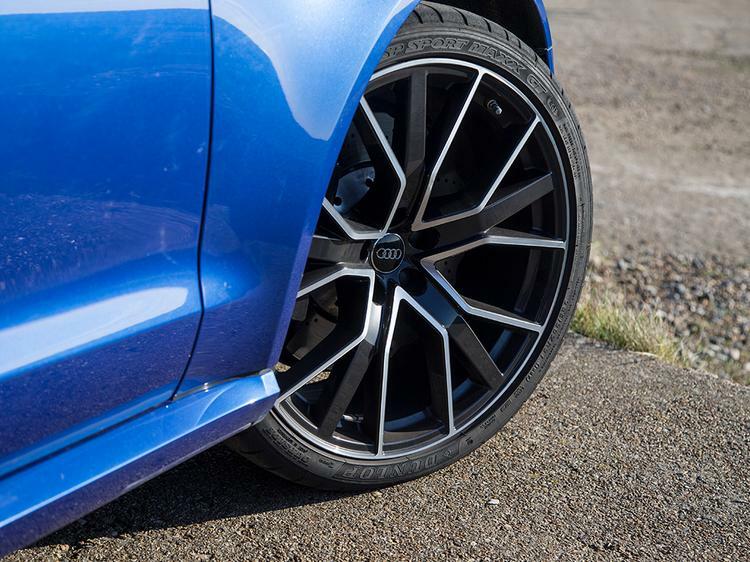 The C7 RS6 is the benchmark for good reason, offering peerless quality and style with monumental performance and - perhaps most surprisingly - some dynamic aptitude as well. 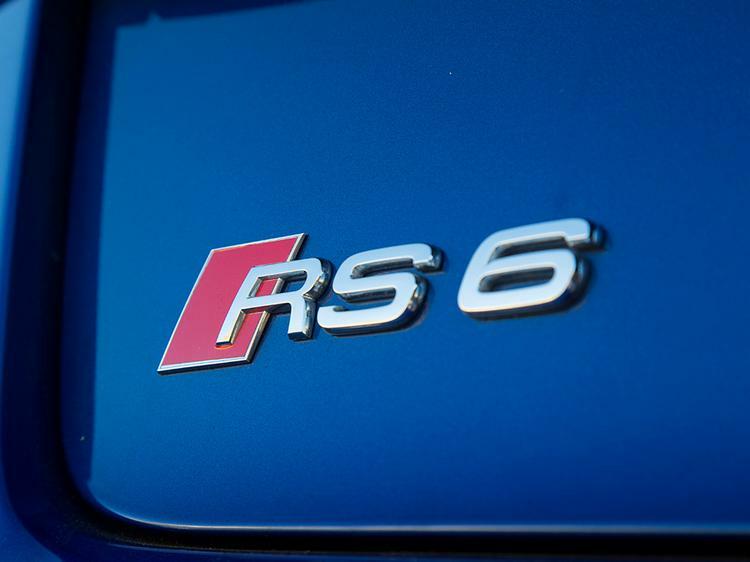 With the Performance, introduced in 2015, the RS6 took things up to 11. Or rather, 605. Why no mention of Mercedes-AMG yet? 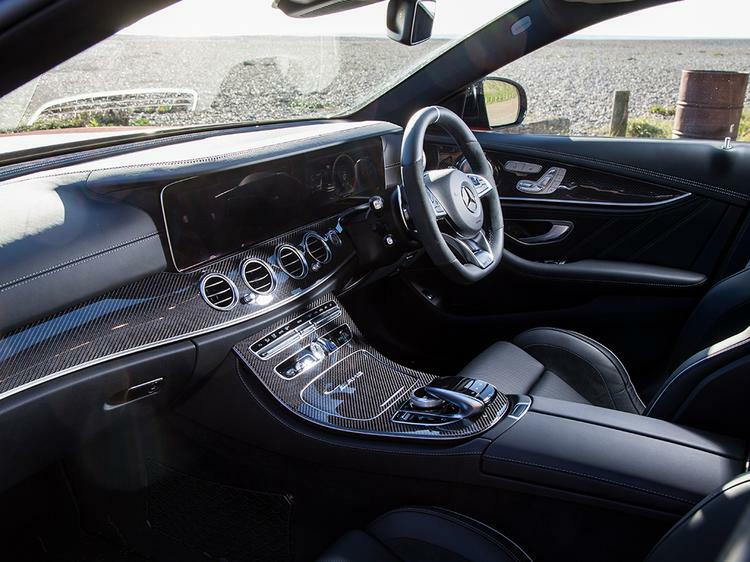 Well in terms of everyday usability, gigglesome though the old CLS and E-Class were, 585hp and two driven wheels didn't always ensure the smoothest progress. Great if you wanted to lout about, not so suitable for Sunday visits to the in-laws. The day begins in the E63, because Nic really likes an RS6 and isn't someone to upset before 10am. No bother, because the Mercedes is excellent. Better perhaps than the saloon we drove recently, and not simply due to the practicality perks. It might be a placebo, but the ride of this estate - one of the chief bugbears of the saloon - does feel fractionally less punishing. It's still tough, it's still a bit irksome sometimes, yet here it doesn't seem to get in the way as much as before. Could it be the optional ceramic brakes taking a tad off the unsprung weight? 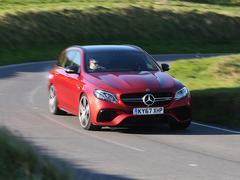 Whatever, above urban speeds it doesn't take long for the E63 to work its magic. 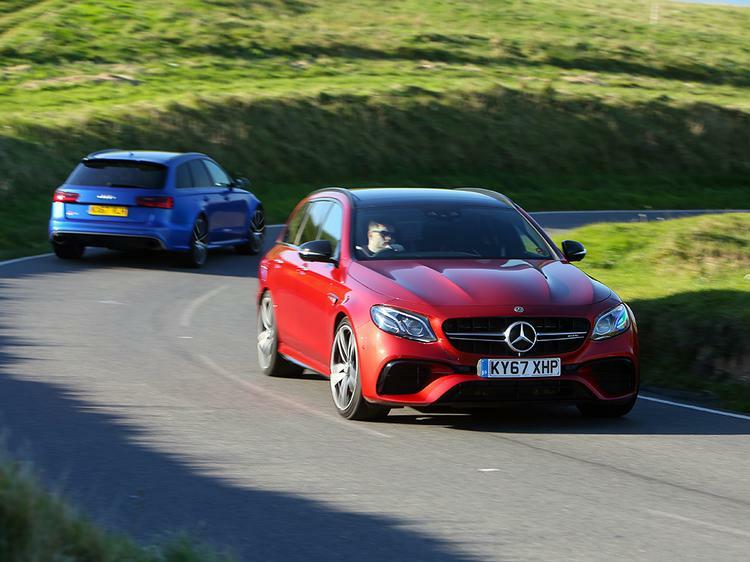 Combining fantastic luxury with absurd performance is an AMG tradition that stretches back decades, an obligation the E63 happily (and hilariously) fulfils. The difference here is a dynamic intensity that these big Benzes have previously lacked, a tenacity and coherence that's fairly shocking in all honesty. The more aggressive modes are redundant on the road, yet the devastating speed and precision are clear - the E63 has already set a very high standard even before the RS6 has turned up. 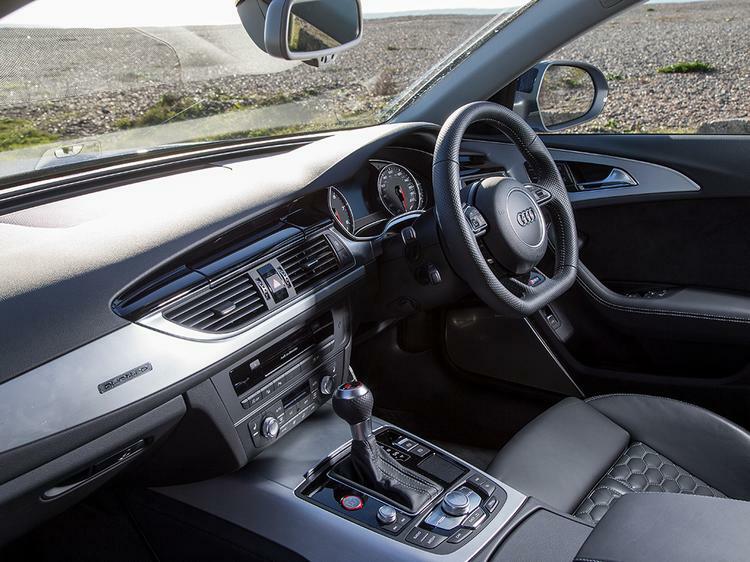 Then the Audi arrives with Nic at the wheel, broad shouldered, angry and intimidating. The RS6 also looks fantastic. There's a level of menace and a presence with the Audi that neither the passage of time nor the Mercedes parked next to it can diminish. Uberholt prestige may have little relevance in the UK, though we can be grateful that it has created such a cool estate. 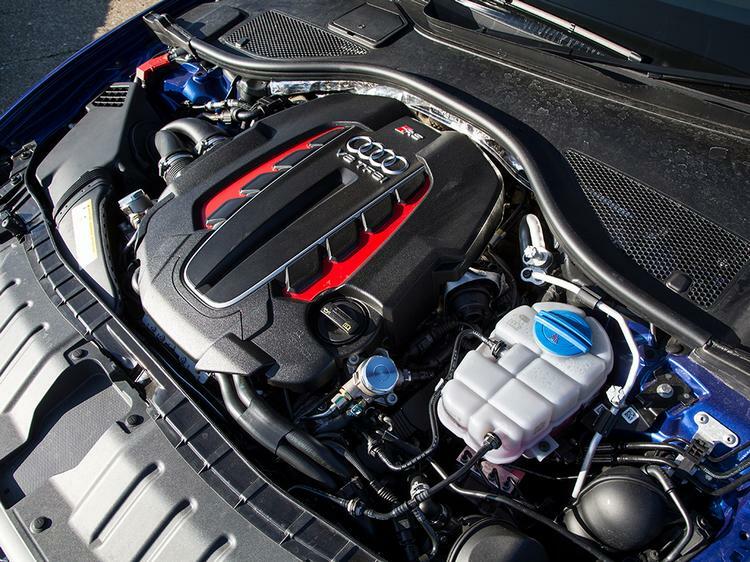 'Charismatic' is a word that comes up a lot when discussing the big, fast Audi. 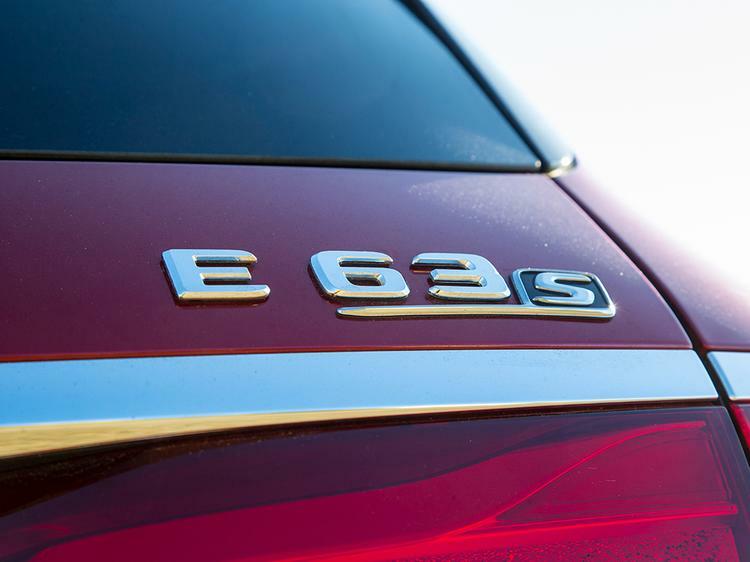 Not only is that a phrase seldom used to describe a product with four rings on its grille, it's often a euphemistic term applied to cars with lots of power and little else going for them. Here, it applies in every positive sense, the RS6 delivering on the V8 muscle car thunder potentially even better than the Mercedes, and complementing it with genuine dynamic prowess. 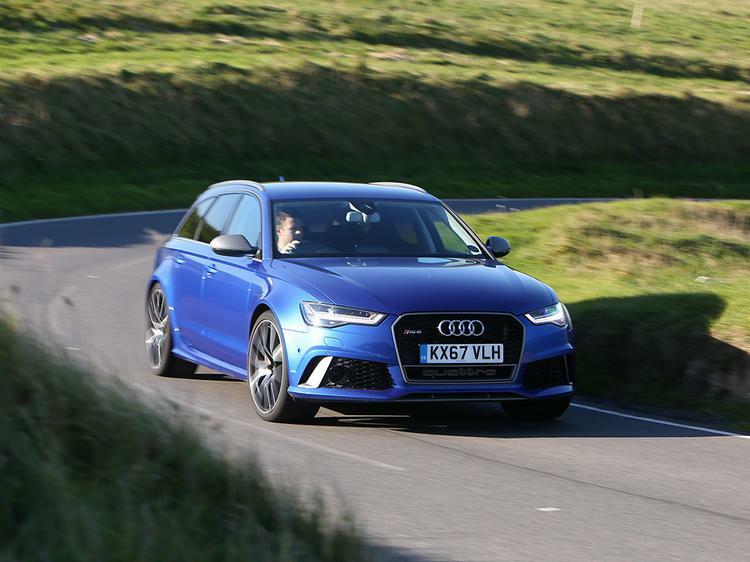 It's not the last word in communication, the RS6, though that's arguably of limited relevance with this sort of car; what there is, however, is an accurate, capable and enjoyable fast Audi. It rides with decent suppleness, controls its weight well and the sport differential makes the big old lump more neutral than you might expect on corner exit. Furthermore, older engine or not, this RS6 is still tremendously rapid. And it sounds better; sounds brilliant, in fact. 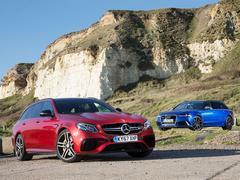 That the Mercedes raises the bar yet again is not a criticism of the Audi, more a reflection of where AMG has moved the goalposts to. 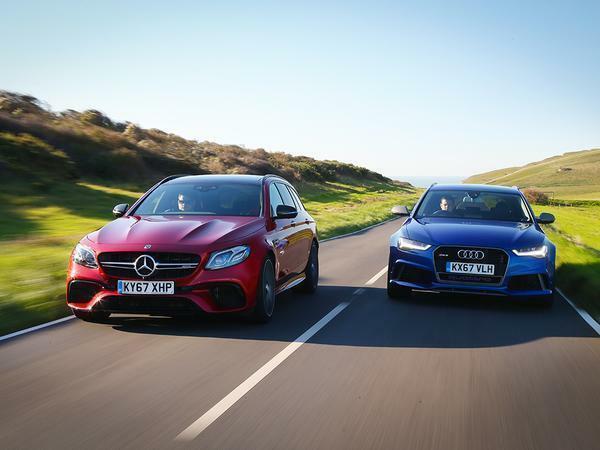 The red car reveals weaknesses in the blue one you simply hadn't recognised before: a slight mushiness to the throttle response, the tiniest delay in gearshifts, occasional lapses in body control. 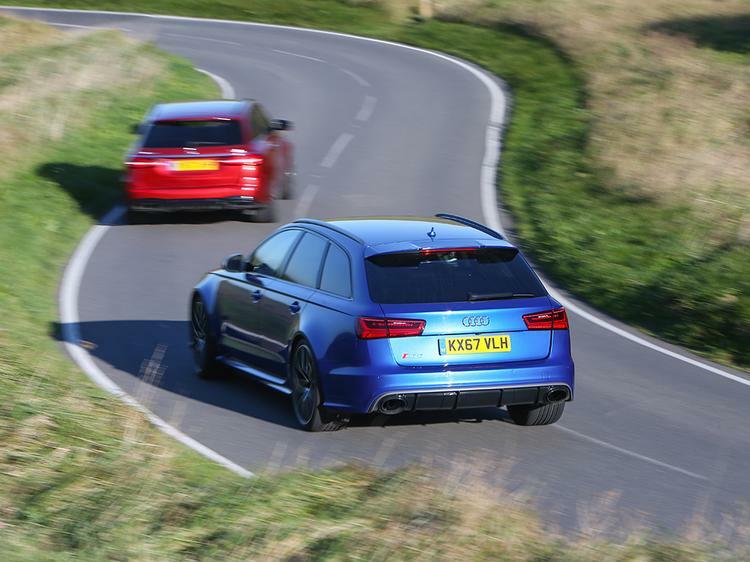 By any other measure the Audi is great in these areas, and it's only this test that has brought those deficiencies - and even that seems too harsh a term - to light. 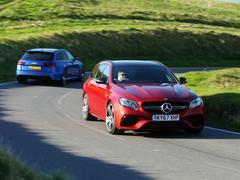 There's a distinct Nissan GT-R vibe to the way the E63 drives, and that's meant entirely as a compliment. Even if it does begin with the graunching and grinding of diffs at parking speed. There's that unrelenting and underlying firmness, yes, but also this sense of ceaseless twin-turbocharged speed and unflappable composure. 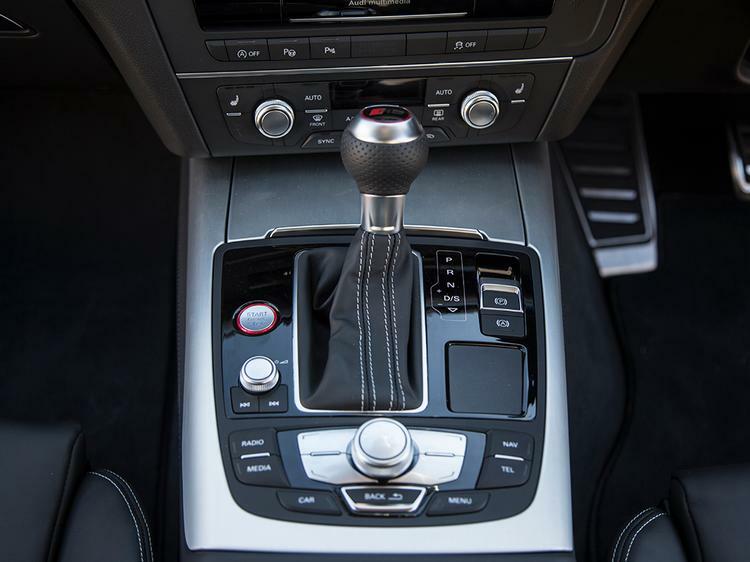 There's traction, control and poise that you wouldn't have believed possible in something this large, and a balance to the 4WD system that enhances rather than detracts from the experience. After that, the Audi starts to feel a tad laboured. Comparing a car that's been on sale since 2013 with a brand new one launched this year will always prompt calls of foul play, but when a rival is such a perfect fit the comparison has to be done. That the RS6 still comes out of this test with its credibility intact shows what an accomplished, likeable car it remains; declaring it the loser in this test seems deeply unfair, and even second seems to sell its achievements short. 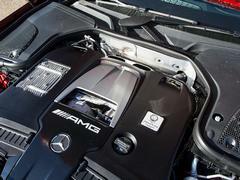 In the company of this Mercedes though, that's how the result must read. 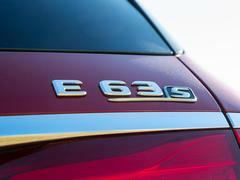 It's an unequivocal victory for the E63, and it was never in much doubt. 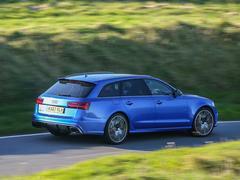 It's an astoundingly complete car, offering an armoury of talents with which even an RS6 can't meaningfully contend. This is one of the best AMG products ever, the engine tweaks delivering a level of excitement over a C63 and the interior a sense of opulence not that far off an S-Class. 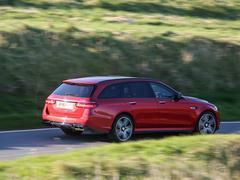 Previously that would have been sufficient for a deeply endearing fast Mercedes; that the E63 now also offers a formidably strong dynamic repertoire secures its place as the best super estate around, and confirms AMG is in a richly exciting vain of form. Good article thank you. I had a look around these two when you brought them to the last SS meeting and am a huge fan of fast estates (previous B7 RS4 Avant owner). I would gladly take either of them home but am still slightly biased towards the Audi. 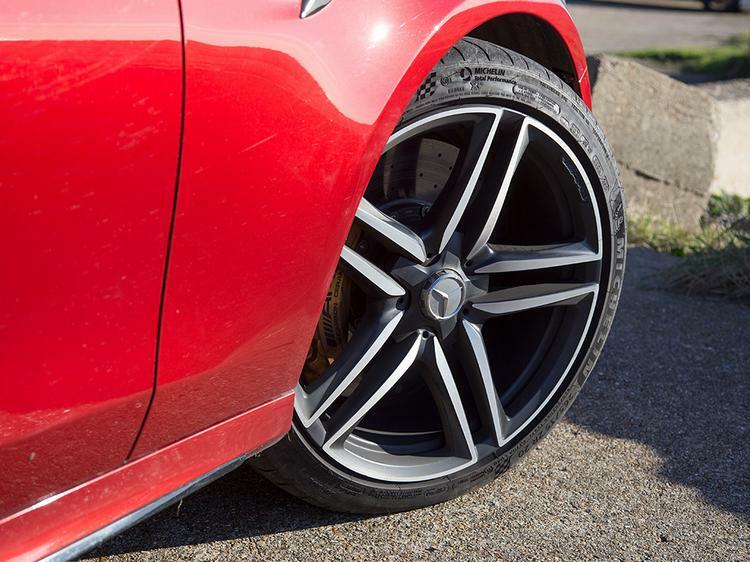 One thing I never quite understand about some of the AMG products is the nice big swollen wheel arches up front and nothing at the back - looks very mismatched. Two tonnes and dynamic aptitude, eh? I nearly fell off my chair. I understand the benefits of 8/9 speed 'boxes on paper, but really, do we need them? Happy for feedback from any owners.